Goonies. Goonies at the restaurant. 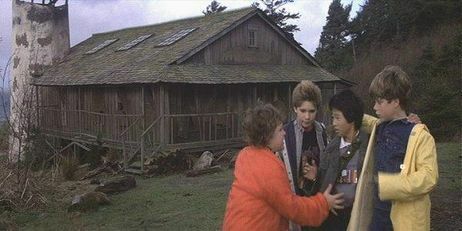 Wallpaper and background images in the The Goonies club tagged: goonies 80's movie kids treasure adventure fretelli's restaurant sloth pirates. This The Goonies photo might contain ঘাসের চাপড়া ঘর, soddy, অ্যাডোবি ঘর, খামারবাড়ি, garner, and granary.